You might want to take note that this is an updated edition of Schwarz’s 2011 Workbench Design Book. In this revision, your very first workbench will do everything you need it to do–possibly for the rest of your woodworking career. 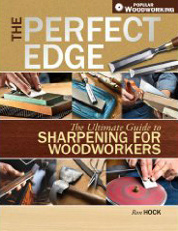 Encompassing years of historical research and real-world trials, Christopher Schwarz boils down centuries of the history and engineering of workbenches into basic ideas that all woodworkers can use: designing your own bench, classic rules of good design, how to build an inexpensive and practical bench, and how to properly use any workbench. Includes plans for 5 benches – 2 sturdy English benches and 2 variations on the French Roubo, as well as a portable bench you can clamp to any solid surface. The old-school benches in this book are simpler than modern benches, easier to build and perfect for both power and hand tools. Beginning woodworkers can build any of these benches. The technical drawings are clear and show every detail. Using the step-by-step instructions, you will be amazed at how easily these workbenches can be constructed.